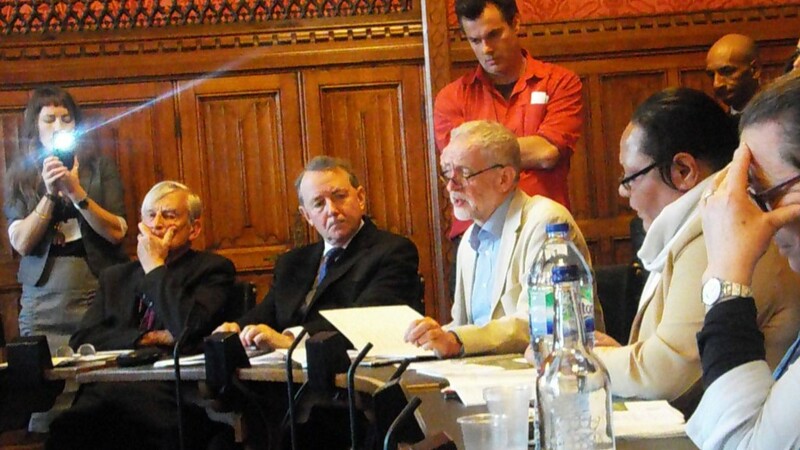 Jeremy Corbyn speaking at the launch of the Politics of Papua Project report and Westminster Declaration on May 3, 2016. The Politics of Papua Project under the Politics and International Studies Department at Warwick is now, along with the West Papua Project at the University of Sydney, one of the only foreign academic research centres studying Indonesian rule in West Papua. West Papua, the western half of the island of New Guinea, has been under Indonesian occupation since the early 1960s. Although international journalists and observers are routinely banned from the region, human rights groups estimate that over 100,000 indigenous Papuan civilians have been killed, torture is widespread, and development indicators some of the lowest in the world. The Project’s first publication, ‘Assessment Report on the Conflict in the West Papua Region of Indonesia’, was released at a large diplomatic meeting in Westminster on May 3 this year. Newly re-elected Labour leader Jeremy Corbyn, who attended the meeting, praised the report and promised to make its recommendations a pillar of Labour Party policy. Last month, the Project teamed up with the Oxford-based Foundation for Law, Justice and Society to release a 12-page policy briefing on West Papua based on the first report. The policy brief called for the release of political prisoners, free access to the region for international observers, and an end to the UK’s current regime of military and police training for Indonesia. Warwick Professor Keith Hyams, Director of the Politics of Papua Project, said: “We are delighted that the Oxford Foundation for Law, Justice and Society is releasing this summary of our work on the politics of West Papua. Our original report, which was released in the House of Commons in May 2016, has now been downloaded over 20,000 times and has been endorsed by a number of prominent politicians, including Jeremy Corbyn”. The briefing and report detail how the 1969 ‘Act of Free Choice’, which Indonesia claims was a free and fair referendum to decide on whether West Papua should be part of the Indonesian archipelago, was a carefully stage-managed affair which failed to meet international standards. It also details widespread human rights abuses, systematic economic discrimination against the Papuan population, and the role of Western countries in training an Indonesian police unit deployed in Papua. The Politics of Papua Project exists to provide research, analysis and assistance to policymakers, NGOs and the public on issues surrounding West Papua. You can contact them on papua@warwick.ac.uk.